The last time Doctor Who did a Remembrance episode it culminated in fire, levitating Cybermen and a grotesquely reanimated military hero. 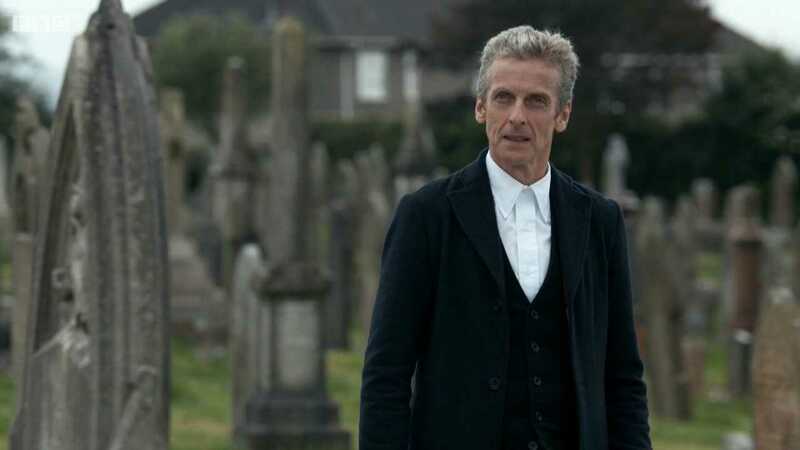 Capaldi (then still getting into his stride) saluted a stunt double from the opposite side of a cemetery while Jemma Redgrave slumbered, Cybermen all around the world burned, and in Oxfordshire I nearly threw my wine glass at the TV. It was not a good story. More to the point it was insulting. It felt like a line had been crossed. Four years (and a great deal of very turbulent water under the bridge) later the sting has subsided a little bit, but the memories remain: and if there’s one lesson to be learned from ‘Death In Heaven’ it’s that perhaps some things shouldn’t be touched, or at least not touched by Steven Moffat. 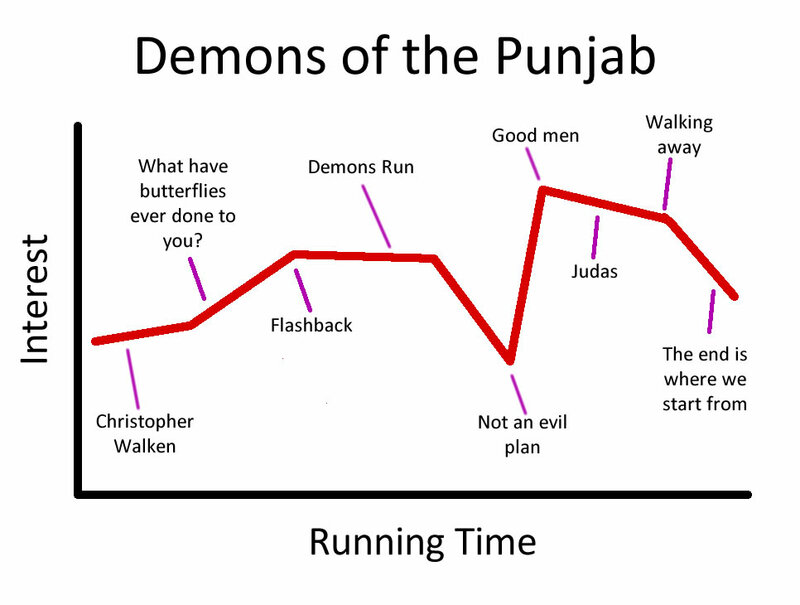 ‘Demons of the Punjab’ put a new spin on things. Here, we were told, was a war that put Hindu next to Sikh next to Muslim next to Catholic, only for each one of them to return home to division, with the resulting atrocities a notorious (if seldom discussed) dark mark in twentieth century history. 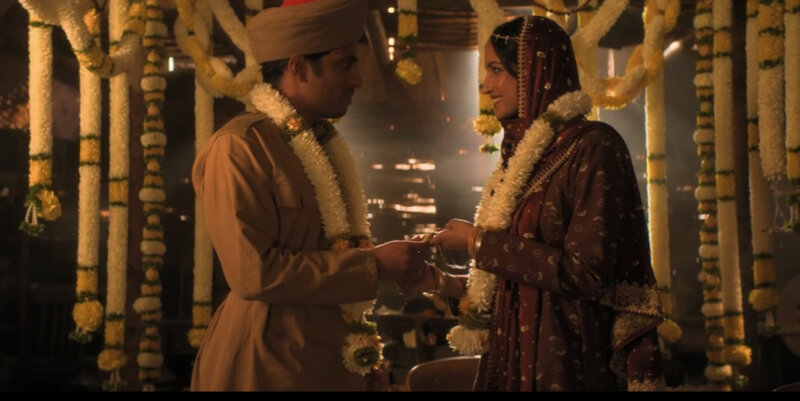 It’s too complicated to blame the whole thing on the British, and Vinay Patel – this week’s writer – neatly sidesteps the issue by leaving the colonial overlords offscreen; consequently the only deaths occur as a result of internal unrest that had presumably been brewing for some time. The point, surely, is that people will happily turn on their neighbour given any excuse or opportunity, and not for the first time this series, the monster is us. Is this patronising? Perhaps. I was going to write something about how this is a lesson the kids need to learn, even if we don’t – but then I logged into a couple of Facebook groups and remembered exactly why I unsubscribed from their feeds. Here’s something: we never did the Partition of India at school. We studied Celts, Romans, both World Wars and spent quite a lot of time in late Georgian / early Victorian England. But we never touched India. We never touched Cromwell, come to that, and years later I glean most of my knowledge of the Civil War from English Heritage properties. The point is this: surely it’s not a bad thing if you tell such a tale, provided you do so with sensitivity? I mean, I learned something last night – never mind the children. Still. Doctor Who has become, over the years, an exercise in not dabbling in history. When Hartnell’s incarnation protests, in the sternest of voices, that “You can’t rewrite history – not one line!” it feels like a commandment: as it stands, it’s more like an inevitability. By and large we find that the Doctor’s place in global events is at best incidental and at worst pre-determined – in other words, things happen because they were supposed to happen, not because anyone shifted the narrative. 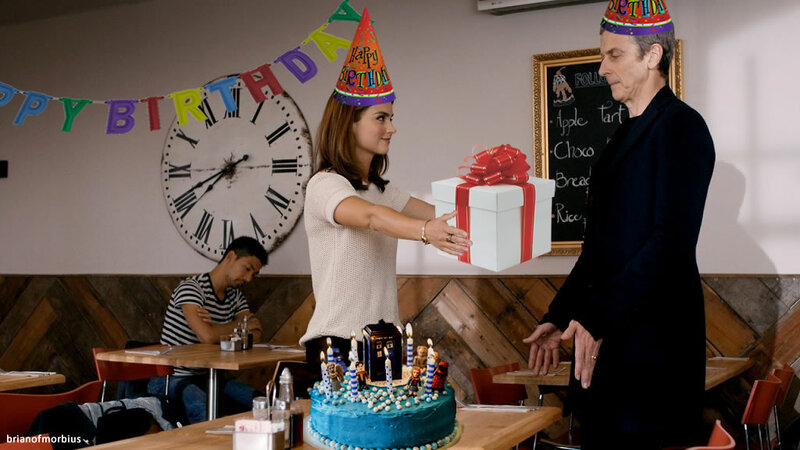 There are notable exceptions – ‘Father’s Day’, for example, which (while being a richly satisfying episode packing a strong emotional punch) is responsible for more misunderstandings about the way Doctor Who generally works than any other episode in the show’s history. Back To The Future posits that your future is whatever you make of it: for the Doctor and their companions, the future is what it is and there’s nothing much you can do to change things. So before you know it we’re trundling round the Punjab two days before they draw a line in the sand and neighbour makes war upon neighbour. There are resentful siblings and an upcoming wedding to a man that no one recognises – and the woods are littered with alien technology. The twist, of course, is that the titular demons turn out to be nothing of the sort, becoming instead a paradigm for a wiser, older version of humanity, roaming the universe and honouring unobserved deaths as an act of penance. Introducing such a concept so soon after ‘Twice Upon A Time’ is a narrative risk – Big Finish’s monthly range has suffered in the same way – but if anything, the Assassins of Thijar (what do we call them? Thijarians? Anybody know?) are a better fit. Masked, armoured and imposing, appearing from the shadows like a cut-price Predator, they are obvious villains in the same way that the Fisher King was, and the fact that they turn out to be entirely benevolent (if ultimately impassive) is a harsh lesson in judging by appearances. Needless to say this week is mostly about Yaz, and it’s curious that Patel doesn’t give her a great deal to do. There’s a lot of staring with those wide eyes (no one does the “Did I leave the iron on?” look quite like Mandip Gill) but for the most part she heeds the Doctor’s advice about leaving history unchanged with the sort of steadfast obedience we haven’t seen since the eighties. This is, above all, a story about reacting – the consequences of being in a situation you can’t change, a sort of virtual reality history lesson that is likely not to sit well with some people. “All we can strive to be,” notes Graham, in a lump-inducing moment with Prem that is by far this week’s high point, “is good men”. Graham, indeed, is the one to watch this week – moving from childlike fascination to helpless abandonment with the precision of an actor at the top of his game. Elsewhere, Ryan spends most of his screen time kicking up the dust, while the Doctor officiates at the wedding (in a speech that’s likely to outlive Tumblr itself, never mind do the rounds on it). 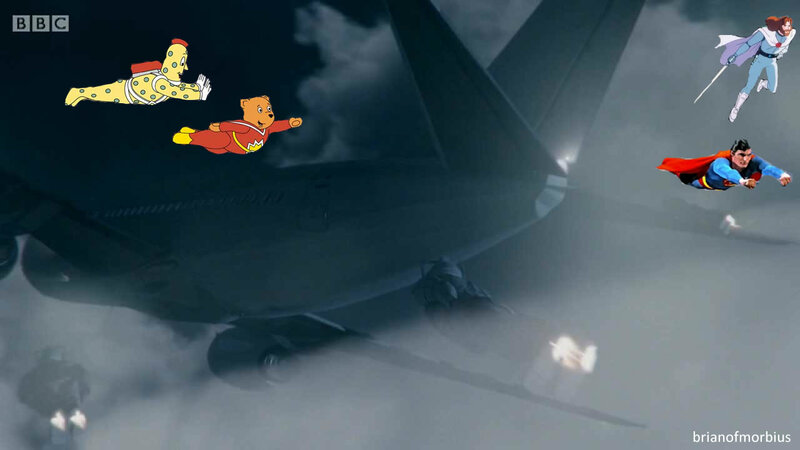 But even if they’re only chewing up the scenery, at least they do it with a certain panache. The supporting characters, too, acquit themselves well, although Amita Suman rather lets the side down, giving a performance as wooden as the huts that sprinkle the roads. As with the first Lord of the Rings movie, the real star is the scenery. The Doctor and her companions stride through the fields and lanes of rural Punjab (actually Granada), given a warm, almost sepia-tinted glow by Sam Heasman’s exemplary cinematography. The forest sparkles in the low sun of afternoon, and the camera lingers over the poppies that bloom in the fields. The cavernous interior of the Thijar spacecraft is bland and fundamentally pointless, somehow, and yet again the TARDIS barely gets a look-in (did they only have that set for half an hour, or something? ), but both are forgivable offences when everything else looks so pretty. Doctor Who seems to be transitioning lately. This is not just a tonal shift; there’s an entirely new blueprint on the table in Chris Chibnall’s office. The stories are less complicated, the dynamic has subtly (all right, not so subtly) altered, and the average age for the audience the show is apparently trying to reach seems to have dropped by about fifteen years. The result has been an uptake in new viewers – and a resurgence from older ones who had become disillusioned – but there has been fallout. Some people, from what I read, are clearly not happy with things. There is a growing concern among various pockets of fandom, old and new alike, that this is somehow “not Doctor Who“, although that archetype is in itself so head-scratchingly abstract it’s hard to know just how to break it down. Question: has anybody actually asked the kids what they think about all this? Or are we too busy complaining that it’s not the show we know and love? What do we do about the fact that for years Doctor Who was a messy hybrid of itself, endeavouring to be smug and grown-up and sophisticated at precisely the same time as it needed to be accessible and viewer-friendly, and not really managing either? Is there really a point at which we can no longer call this programme by its allocated name, because if the Trigger’s Broom principle applies then surely that ship sailed long ago? 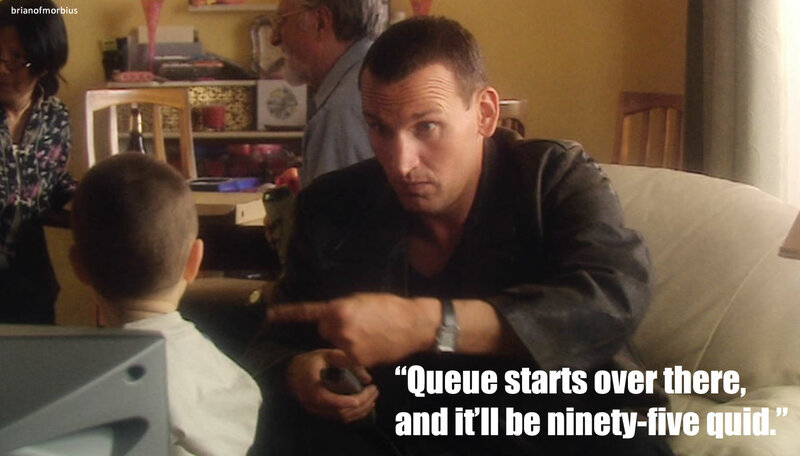 Isn’t it better to say that for some of us, Doctor Who is moving on, and that we have outgrown it? 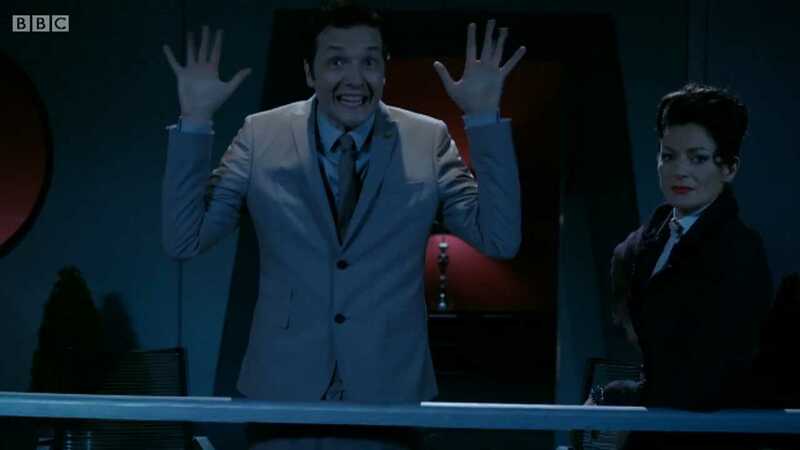 Russell T Davies closed 2007 with ‘Voyage of the Damned’. It contains a coda in which the obnoxious stockbroker vanishes into the distance while the Doctor glowers at him. The life lesson that follows (delivered by Clive Swift, far less grumpy on screen than he reportedly was on set) is clumsy, but necessary. Last night’s closing scene – in which Yaz met with her aged grandmother in a Sheffield tower block – was clumsy, but necessary. Perhaps there’s a more subtle way of delivering these messages; perhaps it is beyond the abilities of the current writing team to do so. Perhaps this is the series we deserve, rather than the one that we need: perhaps it is the other way round. Or perhaps it is both. We’re in a world where subtlety has all but vanished from the face of the earth, and everything is delivered in stark black and white because that’s the only language that people speak. We were told – in no uncertain terms – that people are superstitious and fickle, and that monsters appear without warning at the drawing of a line in the sand, but that ultimately we were stronger when we learned to work together. Is this acceptable for a Sunday evening’s light entertainment? Is it right that Doctor Who wields its moral baton with such unerring transparency? That’s another post. But either way, I can’t help thinking that Jo Cox would have approved. I’ve been procrastinating a bit on this final entry, largely because it’s a week until Christmas and we still have to finish tidying the house. But needs must. I don’t want to let you down; I know how hotly debated these posts are at the conventions and on Reddit threads. Oh, the sacrifices I make for you lot. First, let’s follow through on something we started mid-series. You will remember some weeks ago, I talked about the precise line of dialogue that occurred at 31:59, and how these dialogue snippets formed a rough conversation if you were to stitch them together. For the first time tonight, I can reveal the entire exchange, as it occurs at these time points throughout each episode of the series. 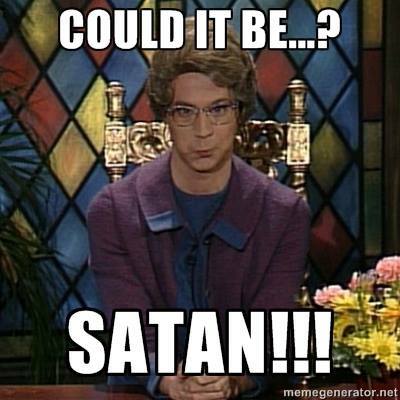 And I think we all know what that means, don’t we? Let’s think visual, now. 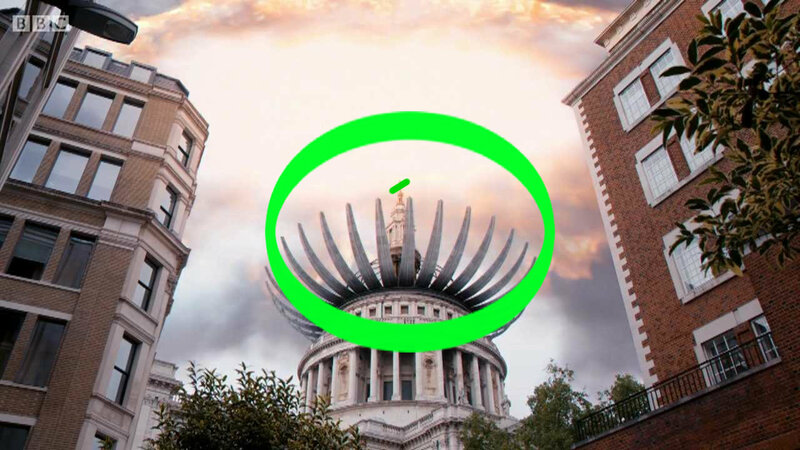 Examine this image of the exterior of St. Paul’s Cathedral. 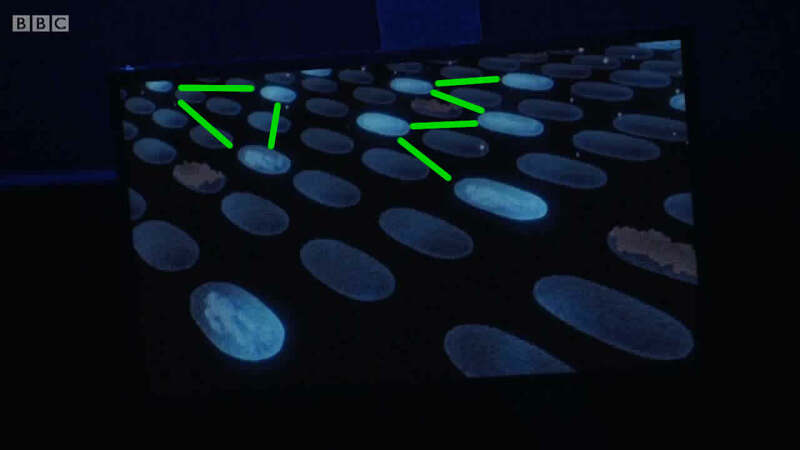 As you’ve probably guessed, it’s the chocolate orange-like segments that we’re looking at. Numbers are important here at God Is In The Detail Central, and we may see that there are precisely 22 spikes on display. 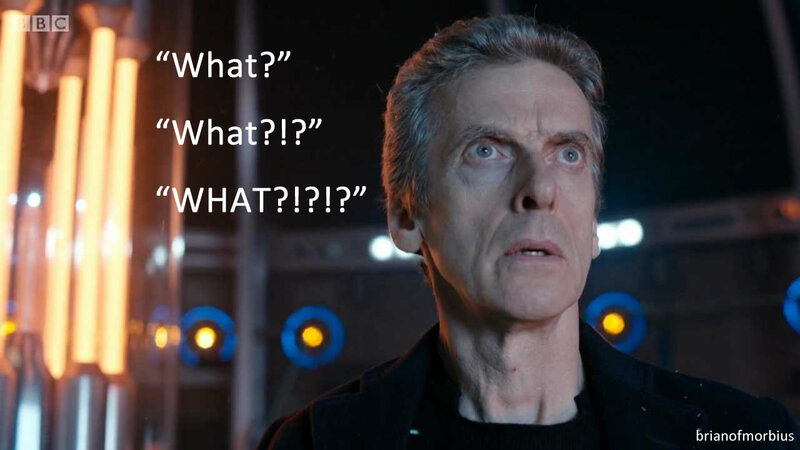 The 22 April 2011 is the date on which the Doctor was gunned down by an astronaut at Lake Silencio in Utah – words that can be rearranged to form ‘Eek! Sil in Cola’. Swire Coca-Cola have a prominent Utah production base. And yes, ‘Sil’ is a real word; he’s a nasty character who first turns up in ‘Vengeance in Varos’, story number two in season number 22 of Doctor Who‘s original run. The number 22 is also known in bingo language (bingo lingo? it should really be called bingo lingo) as ‘Two little ducks’, for obvious reasons. This is a CLEAR AND UNAMBGIUOUS reference both to the use of ducks in ‘The Eleventh Hour’, in which the newly-regenerated Doctor enquires as to the lack of ducks on the duck pond, and also 1986’s Howard The Duck, which starred Lea Thompson as the young musician who forms an ethically dubious relationship with an extraterrestrial waterfowl. As if the fact that Howard the Duck’s production coincided with the original broadcast of season 22 weren’t enough of a coincidence, Lea Thompson is also famous for starring in films about astronauts and time-travelling teenagers. This isn’t just serendipity, THIS IS PLANETARY ALIGNMENT. As a brief parenthesis, and jumping right to the end of the episode, here’s a sight that no one ever thought they’d see in the TARDIS. 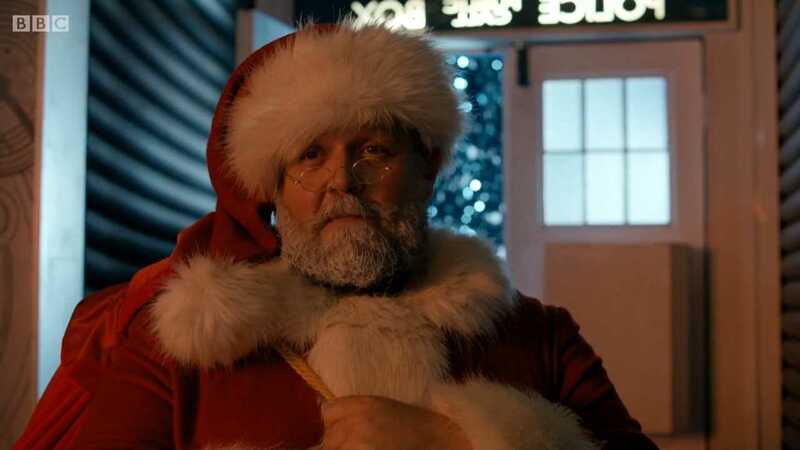 The sudden appearance of Jeff Santa Claus was both the episode’s big cliffhanger and – for those viewers who found ‘Death in Heaven’ as miserable as I did – something of a welcome relief from all the angst. But of course, there’s a chilling (quite literally, as it turns out) subtext to the appearance of a supernaturally powerful omnipresent figure in a red suit, whose name can be rearranged. 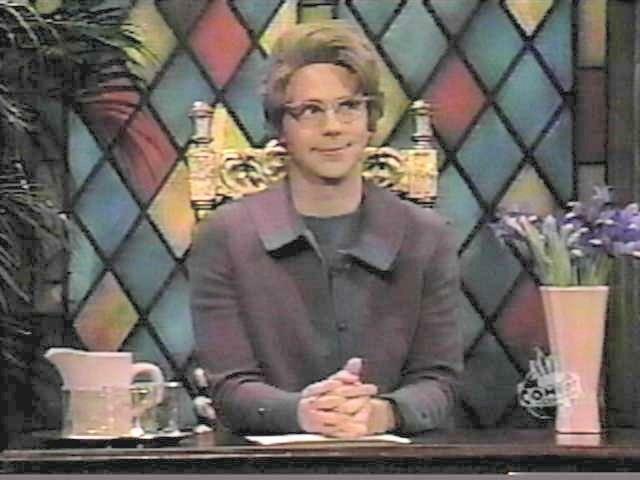 Oh, bugger off, Church Lady. No, I’m talking about the casting of Nick Frost. FROST! At CHRISTMAS! We can only conclude that Michael Troughton will be bringing along a huge quantity of fish, or possibly a narrow (and extremely heavy) feeding container for animals, depending on whether we’re talking about phonetics or spelling. 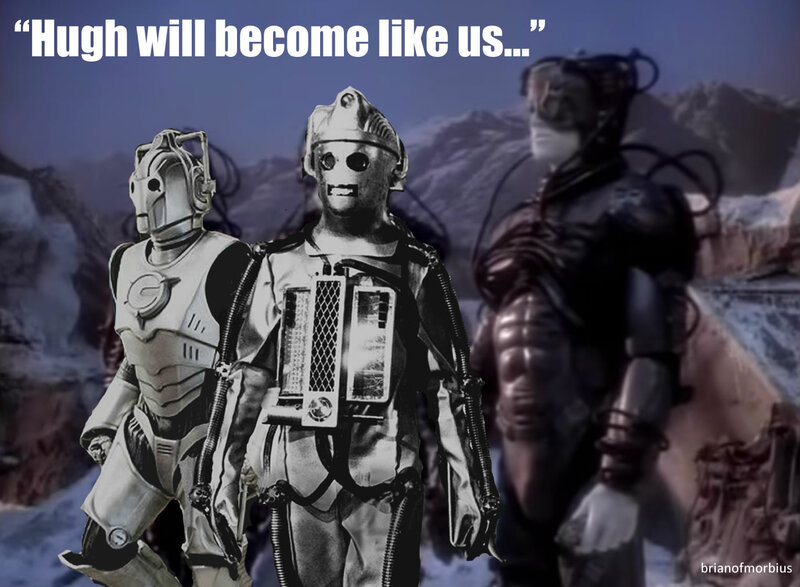 We look now at the reforming Cybermen in their graves. You will recall that the resurrection programme was initially only patchy, and that only a handful of corpses in each cemetery were being reconstructed. It would be easy to assume that this was totally random. Except – EXCEPT! – a closer examination reveals this is not the case. 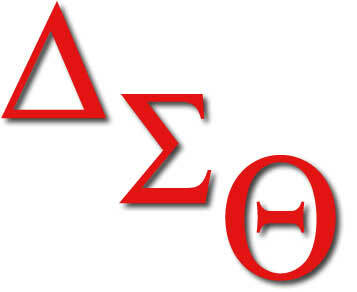 First let’s look at the Greek letters for Delta Theta Sigma, which – as we are all aware – refers to the Doctor’s college nickname and the incarnation that introduced it. 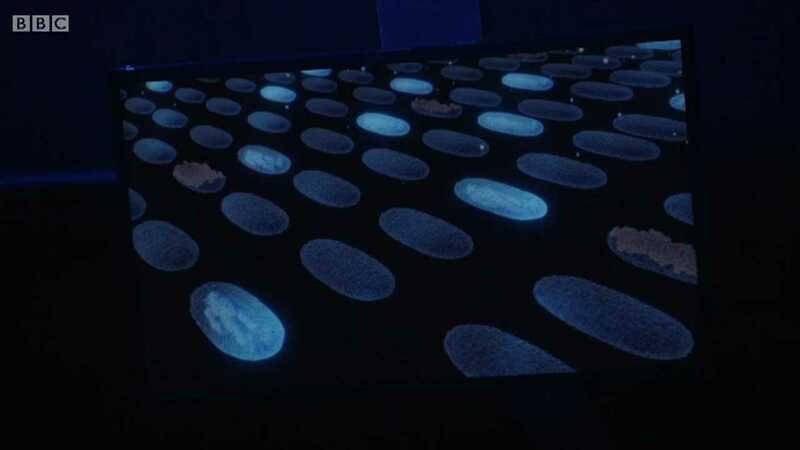 Now examine the patterns generated by the placement of the reanimated Cybercorpses. And finally, look again at that opening image of Saint Paul’s. Well now. Isn’t that special? Warning: Contains a whole lot of spoilers. Let me save you some time. 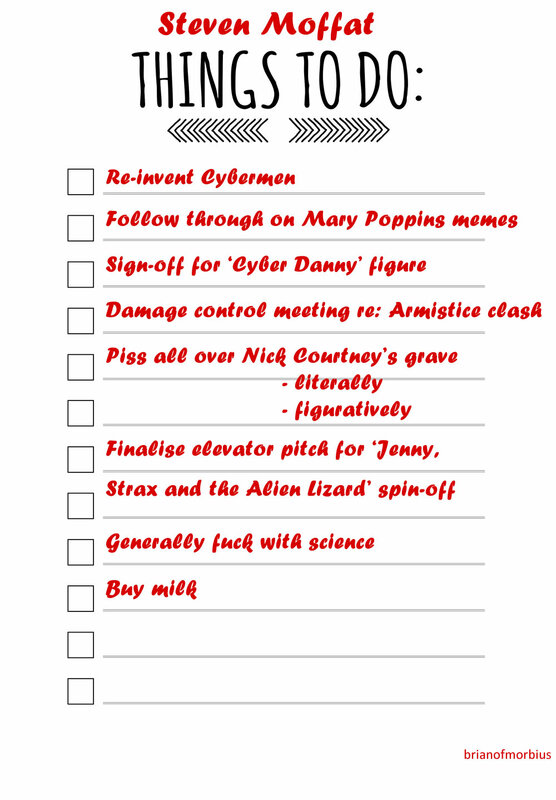 If you wanted a precis of ‘Death in Heaven’, you could do worse than look at Steven Moffat’s To-do list. 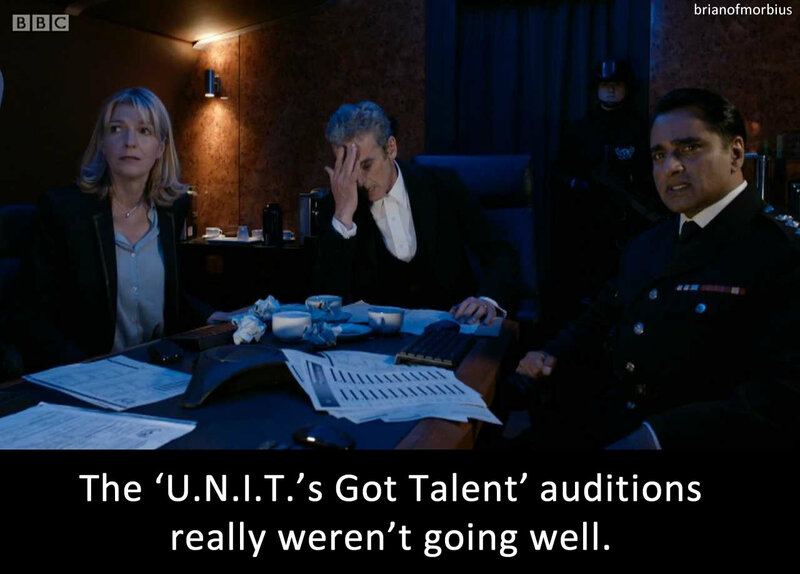 This little observation came at the end of a discussion (complete with quotes, in silly voices, from yours truly) that tried to determine whether tonight’s finale was in fact better or worse than ‘Fear Her’, ‘A Town Called Mercy’, ‘Evolution of the Daleks’ or ‘Journey To The Centre of the TARDIS’. It’s telling when you find yourself having to drudge the back of your memory to recall those stories you’d sooner best forget in order to cushion the blow that is the mess you’ve just experienced. It’s the equivalent of doing a Tequila slammer, in which you fill your mouth with pungent, fiery liquid while juxtaposing it with sourness to counteract the general unpleasantness of the whole concoction. Some people like Tequila slammers, of course. Myself, I’ve never seen the point. You know how you get some New Who episodes that chuck a bad idea at you and it’s bad and you hate it? And then you move onto something else very quickly that perhaps isn’t quite so bad and you sort of forget about the bad bit until the end when you look back? 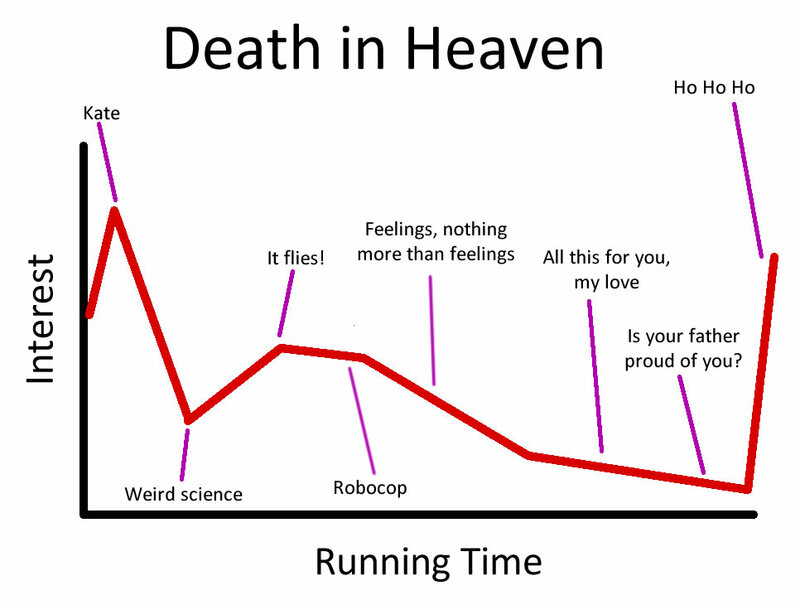 Well, ‘Death in Heaven’ is worse. It’s not one bad idea, it’s a whole heap of bad ideas thrown at you with the sort of merciless onslaught that grave robbers probably got when they were sitting in the medieval stocks. 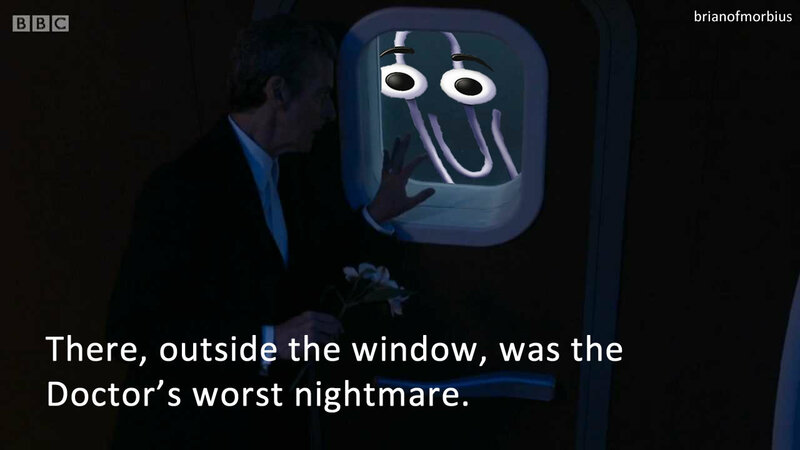 Not since ‘The Wedding of River Song’ have I wanted an episode so badly to end before it completed its running time, and not since that very same episode have I seen such a cacophony of stupid, pointless and empty concepts dressed up as storytelling, only to find myself in an apparent minority when it comes to appraising an episode that everyone else seems to be describing as a ‘classic’. Where to start? 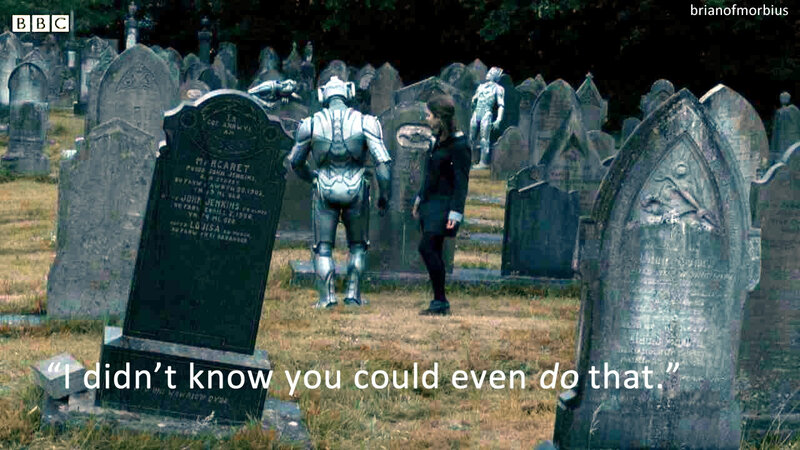 Well, we’ll begin with the Cybermen, whose role tonight was to stand in a cemetery. The plans borne out by Missy in ‘Dark Water’ came to fruition with the latest upgrade in Cyber technology: the natives of Mondas have, it seems, found a way to resurrect the dead. Hence the consciousnesses of the deceased were harvested inside the Matrix until they were ready to be reborn: “Every tiny particle of a Cyberman,” explains the Doctor, “contains the plans to make another Cyberman”. The U.N.I.T. chap he’s explaining this to (Sanjeev Bhaskar, this week’s stunt casting) looks as incredulous as we do at this revelation. The one-size-fits-all ‘nanotechnology’ solution is thus implemented as an excuse to have an army of the dead rise from their graves in order to destroy and then enslave humanity, the day before Remembrance Sunday, while a dead soldier looks on. 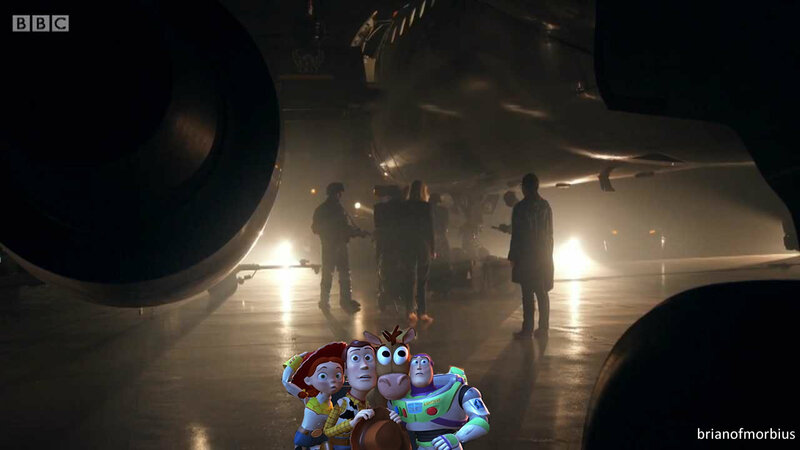 It could be that Moffat didn’t plan this on purpose. Its questionable timing may be nothing more than simple bad luck. Or perhaps the BBC knew what would happen and knew that they’d be able to bat down any complaints using the “this storyline was handled with dignity and respect and we are sorry for any offence that may have been caused” card, figuring that the show’s advocates on Gallifrey Base would do the rest. The other week I complained about the abortion subtext in ‘Kill the Moon’, suggesting that you can’t handle big issues within the confines of a forty-five minute drama. The problem with ‘Death in Heaven’ is that it doesn’t really handle anything; it basically digs up a hundred thousand graves and then leaves the ground covered with soil. So am I overreacting when I suggest that the theme was in poor taste? Perhaps. But the fact of the matter is that while I’ll defend the BBC to the grave, I find it increasingly difficult to trust them. After years of being stuffy and responsible they seem to have found a second childhood, and now the corporation behaves like the teenager that you allow to have some freedom in the hope that (s)he’ll grow up a bit, only to find that said teenager has been rather reckless on social media and is frankly misspending his pocket money. They can handle themselves without my input, I daresay, but you can’t help shaking your head in despair. I’d leave it at that. But the fact that the nano-conversion debacle isn’t the worst thing in the episode is, I think, a measure of how far down the slope we’ve come. Danny Pink, as it turns out, is back, but wearing armour, having been able (somehow) to retain his humanity even as he’s crammed into a metal suit. It’s almost disappointing when he doesn’t start weeping oil. If they’d had the usual nonsense they use in stories of robotic possession, where the mutated hero has a gun trained at the head of his sidekick, who is urging “Fight it! 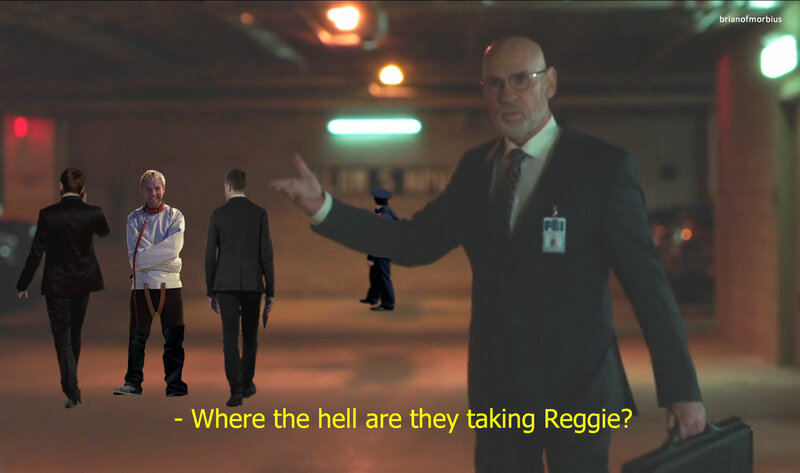 Fight it, Sam! You’re still in there! Don’t let it take you!” then I’d still be rolling my eyes, but at least we’d have seen some sort of conflict. Instead we are left to assume that love conquers all, even enforced robotic conversion, and I really thought we’d left all that behind in 2011. Danny, at least, gets the exit he deserves, basically saving the world while the Doctor makes a couple of speeches and banters with Michelle Gomez. It’s a send-off of sorts for Samuel Anderson, even though (despite the episode’s final scene) I suspect we have seen neither the last of him nor his girlfriend, who gets to do a pointless opening monologue where she pretends to be the Doctor – a scene concocted, as Emily put it, in order to create an ambiguous teaser. 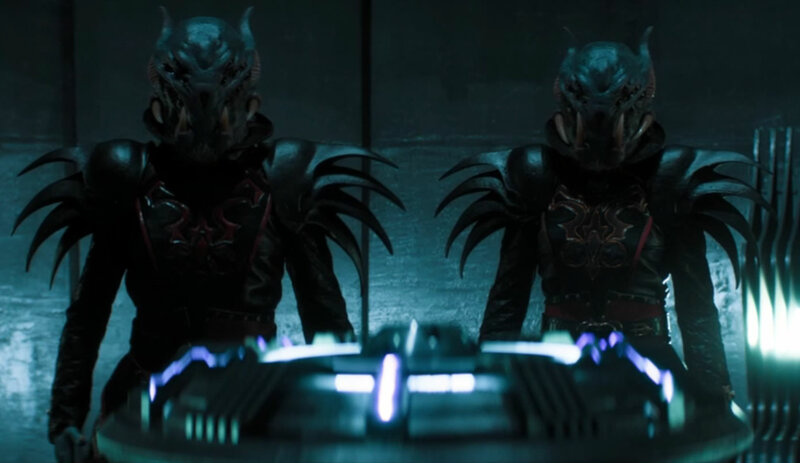 I may have been wrong about Missy being the Master (even though it wasn’t a serious guess) but it was patently obvious that Clara’s apparent character transformation was nothing more than clever editing. Her final scene with the Doctor is quietly dignified, at least, as she wanders off down the same street they landed upon in ‘Deep Breath’ (and which, at least within the context of the show, is supposed to be Glasgow, making very little sense). Pulling the strings of the Cyber puppets, Michelle Gomez is just about the most watchable thing this week. She manages to be sinister without being irredeemable, and crackpot insane without descending into the sort of overacting we saw in every scene featuring John Simm. Far too much is made, unfortunately, of the nature of madness, but there are some lovely moments with the Doctor and with Osgood, even if having her singing “Oh, Missy, you’re so fine” to the tune of ‘Mickey’ seems like far too much of a stretch. That doesn’t stop Kate Stewart (the ever-watchable Gemma Redgrave) dumping a 1968 Cyberman’s helmet on the ground in the opening scenes, effectively throwing down the gauntlet – a challenge to which the 2014 Cybermen respond by later sucking her out of a plane. It’s such a sudden and undignified end (at least Ingrid Oliver gets a few last words before being zapped into oblivion) that you know there is no possible way that it can be final – this isn’t Buffy, after all. Deaths here are long and drawn out, and usually accompanied by tinkly pianos. 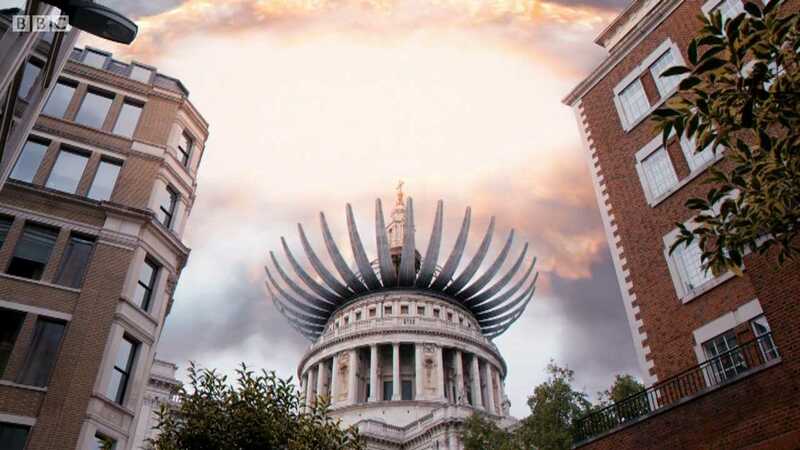 Teasingly, ‘Death in Heaven’ offers up a false ending, interrupting the story’s downbeat conclusion with what is quite possibly the most ludicrous thing to happen in Doctor Who since Hugh Quarshie attempted an American accent. It’s as if we’re being offered, at this point, that most unlikely of scenarios: a happy ending. The fact that this message is delivered in the way it is almost suggests a nod and a wink on the part of the creative team – an acknowledgement, in a way, that what we’ve just had to witness was both stupid and depressing, but that they’re going to put things right. The Office – the British version, at least – ended its second series on a depressing note but gave us a Hollywood ending in a two-part special that saw Tim finally pair up with Dawn, while an understanding blind date offered a glimmer of redemption for David Brent. Could this frankly disastrous series of Doctor Who be about to spin round and offer a fun, light-hearted and yet emotionally satisfying conclusion? After everything I’ve been complaining about these past few weeks, it’s almost too much to hope for. But it is nearly Christmas.